EAST LANSING, Mich. — A Michigan State University study is the first to show an association between unusually high pesticide exposure and poor sense of smell among aging farmers. The research examined more than 11,200 farmers over a 20-year period. At the start of the study, about 16 percent of participants reported having experienced a high pesticide exposure event, or HPEE, such as a large amount of pesticide spilling on their body. Farmers who reported an HPEE were 50 percent more likely to report a poor sense of smell at the end of the study. The research also showed that an immediate washing with soap and water might mitigate risk. Compared to farmers who never experienced a high exposure event, those who did and washed within three hours had about a 40 percent higher risk of having problems with smell. Those who waited four or more hours saw their risk potentially double. 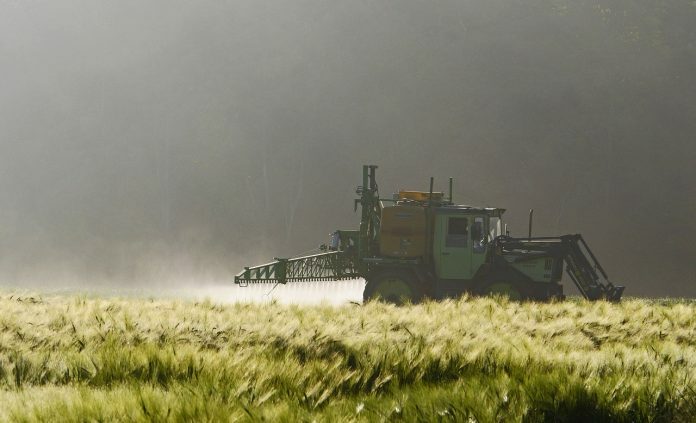 “Studying farmers gives us more reliable data on pesticide exposures than if we had studied the general population,” said Honglei Chen, lead author and professor of epidemiology. In the study, Chen was able to identify two insecticides — DDT and lindane — and four weed killers — alachlor, metolachlor, 2,4-D and pendimethalin ­— that showed a greater association with poor sense of smell. “Olfactory impairment affects up to 25 percent of our older population, and our understanding of what the consequences are is still very limited,” Chen said.